Gina is the name of icons! Our classic FIAT 500 is named Gina, in honour of the Italian actress Gina Lollobrigida (La Lollo). In 1962, when Gina the car was born, Gina the actress shot the movie Imperial Venus – for her performance she won the David di Donatello prize for best actress and the Nastro d’Argento prize for the same category. 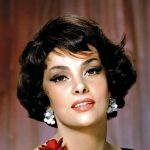 Gina Lollobrigida is still a very inspirational lady, at 90 she is still very active in cinema and the arts, and she is an internationally exhibited sculptor. She is such an iconic character that we decided to give her name to our car. The two Gina’s have lots in common: they are both Italian, they were both born in the previous century, they are iconic, beautiful, charismatic and unique! 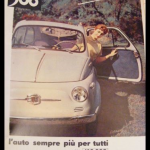 In the photo below we can admire La Lollo as the testimonial for the FIAT 500. The caption says “L’auto sempre piu per tutti” – the car that is more and more for everyone! At the time, it only cost 490.000 lire which is about 250 Euros today! 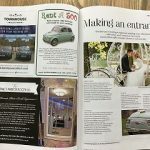 Gina, the iconic 1962 FIAT 500 convertible is now featured in BRIDE magazine! 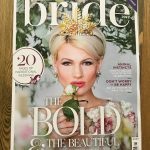 BRIDE Magazine is available from a host of major retailers, such as Tesco, Marks & Spencer and WHSmith; it is also available online at buyamag.co.uk/bride and distributed via a network of regional and national wedding shows and fairs.